Addiction is a very powerful word. It’s power comes from the connotations associated with it as they pertain to drugs, alcohol, and destructive behavior in general. People battle with addictions. Addictions ruin lives. 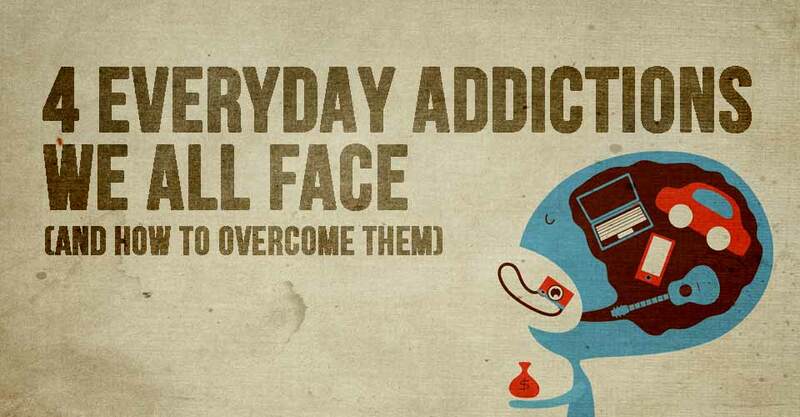 In reality, there are addictions all around us, every single day, that we don’t give the same attention to. Addictions are in no way shape or form attached to one substance or behavior. There are a lot of addictions that we all have that we don’t even consider to be addictions, even if they are just as damaging as substance abuse. We need these behaviors, just as much as a drug addict needs drugs, but we don’t see it that way. We just write these behaviors off as “normal”, instead of facing them like the life-draining practices that they can be. Too often in our lives we use fear as an excuse not to do something. Know this: fear has never once moved anyone forward in life. Fear is a lateral move at best. Yes, some fear is completely rational and acceptable, but it is when we hide behind fear as a way to avoid moving forward that it becomes an issue. That same little voice in our heads that tells us to be afraid of the appropriate things in life is the same voice that tells us to be afraid of everything. The choice is yours when it comes to listening to that voice. People get so used to being in their own comfy little bubbles, that the thought of going outside of those little bubbles is terrifying. This very strongly ties into the addiction of being afraid all of the time. A lot of what we fear, we fear because it threatens our little bubbles that we’ve created. Not to be too cliche, but if you do what you’ve always done – you’ll get what you’ve always had. Friction and conflict in our lives are what makes us stronger. To sharpen a blade, you have to rub it against something rough. We will never be sharpened if we exist in our little bubbles. We see this every day in our social media feeds. The people in our lives pouring out every little detail in hopes that someone will hit that “like” button. Our addiction with approval is what is leading to the selfie epidemic. We are so used to needing approval from everyone else, that we lose sight of who we want ourselves to be. There is only one person you are meant to be: yourself, so forget what anyone else thinks about who you are.